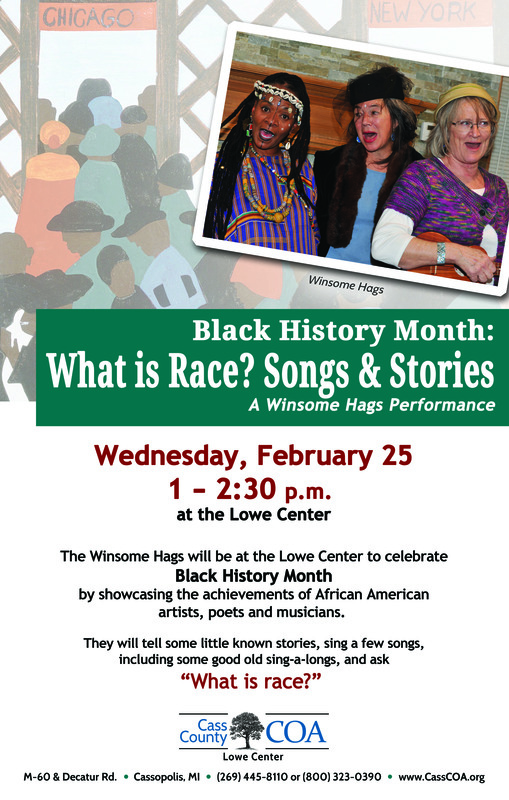 The Hags are looking forward to our first Black History Month program at the Council on Aging on Feb. 25th! Join the conversation and sing along! This entry was posted in Uncategorized and tagged Black History Month, Cass County Council on Aging, Conversation about Race, What is Race, Winsome Hags. Bookmark the permalink.